It is OFFICIAL! 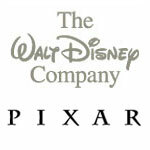 Disney has aquired Pixar. What news this is. Finally the rumors are gone and we can now move on. As the heart and soul of Disney, animation has historically been and will continue to be an important driver of quality content creation for our company. To build on our legacy, I am very pleased to announce that this afternoon Disney agreed to acquire Pixar Animation Studios. For nearly 15 years, Pixar has enjoyed a remarkable run of creative and commercial success, and today we combine their tremendous storytelling abilities, creative vision and innovative technical artistry with our own talented in-house team and amazing creative resources. This now gives us infinit potential for creating new landmark content that can fuel future growth across our entire company and further secure Disney?s already leading role as the world?s undisputed, preeminent name in quality family entertainment. Rumor has it also that John Lasseter and Ed Catmull announced to Walt Disney Feature Animation employees today that production on Toy Story 3 has ended. Cartoon Brew has comments from animators and directors and producers. Have a read. is in charge of animation? Is there anything better that this? Pinch me I’m dreaming. I can’t sit still, I can’t wait any longer…give me more great stories and characters! “Not too many guys can say they’ve worked for both Walt Disney and John Lasseter, so I can offer a unique perspective. Right, we have heard what others have to say, now what do YOU think? « Previous Story Spy Photos of Cars Spotted!